Like the Corsair MP510, the Silicon Power P34A80 only maintains SLC write speeds for only a short while before performance drops, and the baseline speed for both is around 1GB/s. The new firmware on the P34A80 differs markedly by showing much greater regularity in the garbage collection cycles and the associated spikes back up to SLC write speed. The P34A80 shows a much higher throughput at the end of the fill process than the Corsair MP510, because the new firmware happens to be in the midst of one of its short bursts of high-speed writes. The overall average throughput for the whole drive fill process is only slightly faster for the P34A80 than the Corsair MP510 with earlier firmware. Both Phison E12 products are still substantially slower on this test than the top TLC drives from WD and Samsung. The Silicon Power P34A80 picks up several points on the Responsiveness test compared to the older Phison E12 firmware, but the difference is still extremely small and neither firmware version stands out from the rest of the NVMe competition. The P34A80 shaves about 2% off the energy used by the Corsair MP510 with earlier firmware. This is a small improvement, but enough to move the Phison E12 from the middle of the pack to being in the lead among NVMe drives for power efficiency on SYSmark 2018. Slim S55, which is positioned as a budget SSD, has since consistently changed several fillings, having managed to visit the drive on the SandForce SF-2281, Phison PS3108-S8, PS3109-S9, PS3110-S10 controllers, and now it has finally reached Phison PS3111-S11 controller. It is this actual modification of the sample of 2017 that we took for a new study. The interest in it is primarily due to the fact that this drive is the embodiment of a typical reference design, which is now used in a large number of products from other manufacturers: Patriot, GOODRAM, Smartbuy, GALAX, PNY and others. 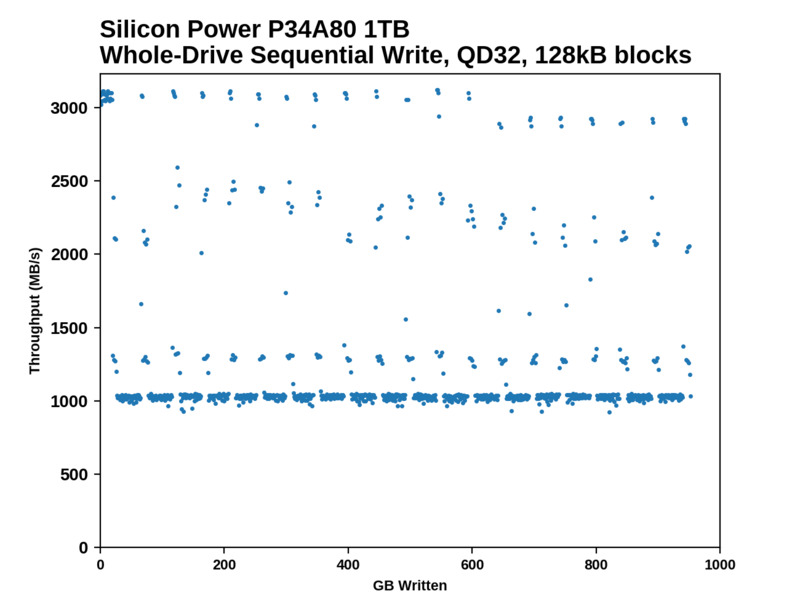 In other words, everything that will be said about the Silicon Power Slim S55 can equally be attributed to the mass of other drives on the Phison S11 controller with the Micron-based TLC 3D NAND.